PROS is of the top SABRE competitor in the airline revenue management industry. 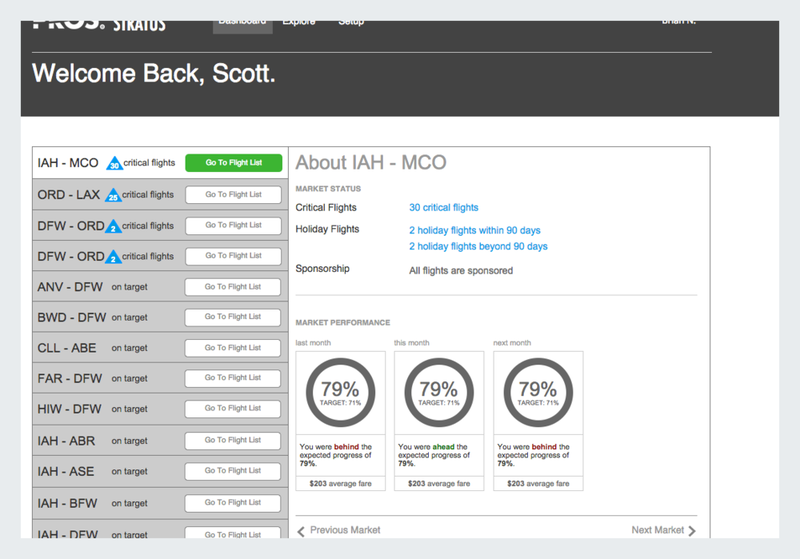 Stratus was one of the many ways PROS sought to revolutionize the way Revenue Management Analysts approached pricing and management of flight capacity. PROS is mostly comprised of internal subject matter experts. 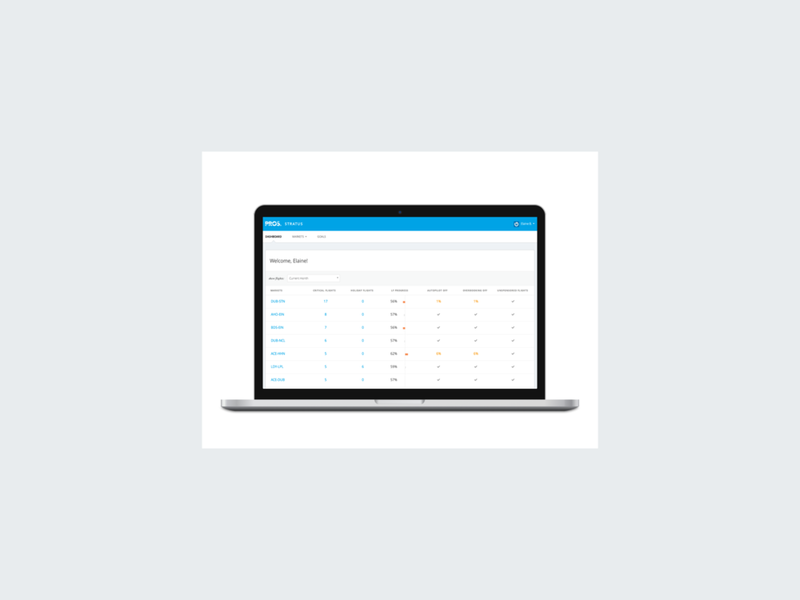 In order to get buy- in to conduct user research with end users, I built report with SME interviews, validating their wealth of knowledge and experience. This paved the way for talking to end users, RM Analysts at major airlines who were interested in the concept of Stratus. One of the most significant findings was that RM Analysts thought of flight management sort of like an email inbox. RM Analysts manage hundreds of flights at a time, and need a quick and familiar way of scanning for any flights that need their focused attention. Knowing that I had access to real users (not always common in the enterprise world), I prioritized lo- fi prototyping. Even though RM Analysts were in Asia and the Middle East, I could easily mock up ideas, set up a GoToMeeting, and conduct usability tests and feedback sessions. RM Analysts were enthusiastic about the inbox design approach and found the dashboard to be incredibly helpful in directing their attention where it needed to be. From an algorithmic perspective, Load Factor progress was an essential part of Stratus’s product appeal. No product could show RM Analysts how full flights were relative to how full they should be at any given time. It was important to illustrate this information as close to the RM Analyst's mental model, so I used a visual cue to communicate load factor progress. The vertical line signified where a flight’s load factor should be, and a horizontal bar showed whether it was ahead or behind where progress should be. I reserved the use of orange for load factors that are too far behind or ahead of where they should be. RM Analysts loved this as a quick and modern way to focus on what matters. My work on the stratus team created a culture of consulting end users for feature feasibility. Within months of beginning work with this team of user research- averse product managers and developers, I conducted user interviews that would create the mental model for our product space. I evangelized the process and product, conducting a gap analysis with the project team and leadership team. The team was equipped with behavioral personas and gap analysis results, so “user research” was no longer a four- letter word. Stratus allowed me to dig into the nuts and bolts of how information design works within complicated systems. I had to understand the intricicies as to how the algorithms and patented scientific information worked from both a development and RM Analyst perspective to create a meaningful experience.